All plantation owners throughout the Virgin Islands had slaves to work their fields which included sugarcane, cotton and various other products that could be grown in a tropical environment. The slave owners had to find a cheap way in which to feed their slaves as shipping food from other countries would be expensive and they did not want to give up their land that could be used to produce the tropical products, they had a big problem. Many of these slave owners gave the slaves what was called provision grounds. This area of land was not suitable for sugarcane or cotton. The slave could produce their own food on this land. But, this is the only food they had. In case of droughts or natural disasters the slaves had no food. This is why many slaves rebelled or tried to leave. Many slaves in the 1770’s died of starvation after the long drought. 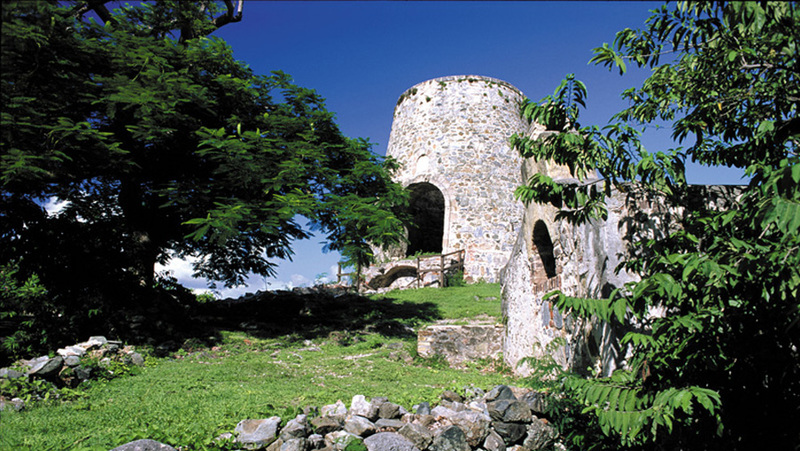 In the year 1867 a large hurricane hit this area and the Annaberg plantation was left abandoned by the owner. The slaves had to fend for themselves and were not allowed to stay and work at the plantation.